There’s a new rivalry budding in English football, and it involves two of the Premier League’s most lethal teams. With Liverpool and City going toe-to-toe against each other in the title race and with both teams desperate to be crowned champions, there’s every chance that this rivalry will be a thing of significance in the future. Two of the most in-form teams in the league, Liverpool lead the Citizens by two points, who have a game in hand over the Reds. 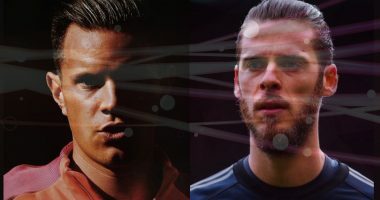 Given that both clubs have a fairly similar run-in in the league in terms of difficulty, fans are left wondering who will make a mistake and hand the title over to the other. It really is that close to call. But, while the title tensions are kept to one side, both sets of fans are at their usual best to taunt and troll each other. And while fans take pop-shots at each other in what can only be described as hilarious to everyone else watching, it also serves as a reminder to most that all the banter is based on past and present events. If you’re going to talk the talk, you better walk the walk too. A red in the Tottenham end last night giving it ‘5 times’ to the City fans. 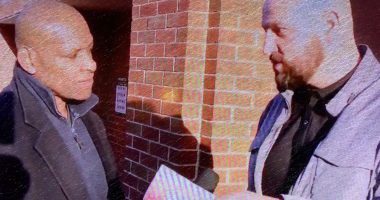 Take a look at the latest comeuppance of such banter from a Liverpool fan who was at Tottenham’s new stadium to watch their UCL game against City. 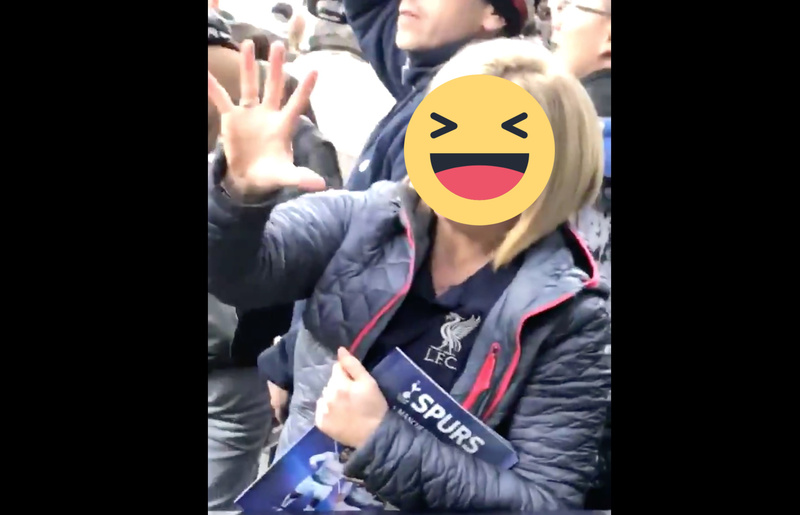 The video shows the female Reds supporter at Tottenham’s end trolling the City fans during the game. 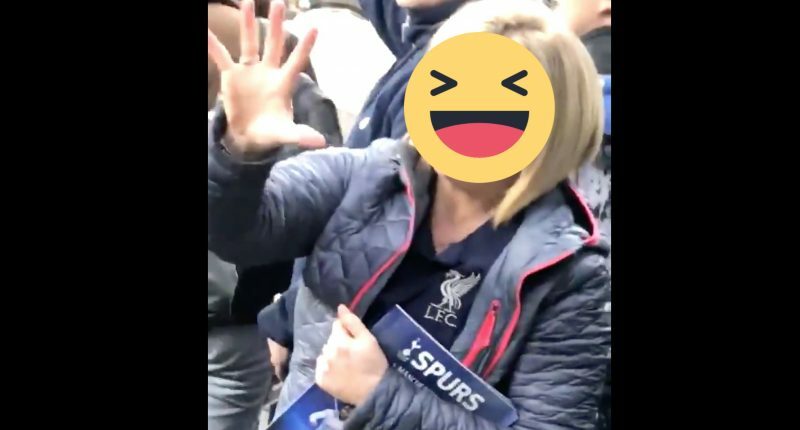 She is seen showing off the Liverpool badge on her top, while gesturing proudly with her outstretched palm, a.k.a “giving it” to the City fans that Liverpool have won the European Cup 5 times. She is also seen verbally mentioning it , with a smirk on her face. City lost their first leg match 1-0 at Spurs, while Liverpool won theirs 2-0 at Anfield against Porto. With things in the league reaching melting point for these two clubs and their contrast in fortunes in the CL, there’s surely a lot more in store from a footballing and a jocular perspective. 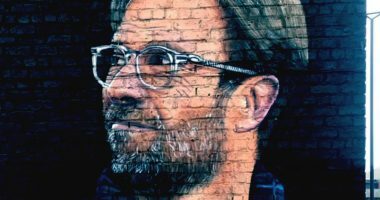 While this show of witticism and undying support from a fan has got the Liverpool fans laughing, will City have the last laugh come the end of the season? 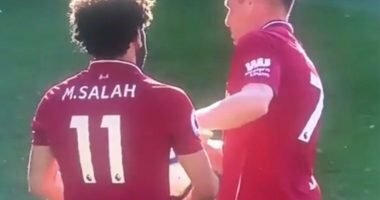 Bin dippers – a class act from start to finish, eh.